Daelim / EMA Power Investments Ltd.
IDBIF II has partnered with UTICO, the largest private utility company in the Middle East, to invest in opportunities in water treatment. 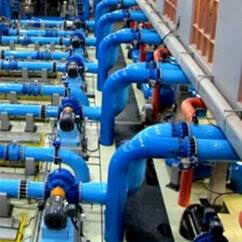 The Fund has invested in United Water, a water desalination company in the UAE. Its current Ras Al Khaima water plant operates a capacity in excess of 90,000 m3/day. An expansion in capacity to 10,000m3/day is underway. A recent agreement with Sharjah Public Water guarantees full utilisation of capacity. As demand for potable water in the GCC grows, United Water is also seeing further expansion opportunities. ASMA Capital Partner B.S.C. (c) is licensed by the CBB as an Investment Business Firm – Category 2.